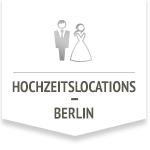 For the best day of someone’s life the makers of the wedding locations Berlin have thought of something very special: an informative site all about the best day of your life. With numerous ideas for the wedding celebration and amazing locations in the capital the WordPress site was supposed to present itself to broad public. The festivities was already prepared to marry the own WordPress with Google by search engine optimisation. The CMS was already standing at the altar, but the bride, a high SERP of the Google family, could not be found anywhere. The makers already put an effort into it all with a magazine addressing the various wedding topics, but the bride’s family, in the form of search engine bots had many objection: the loading times were too long, the content wasn’t optimised, the SEO in WordPress not sufficient for the high expectations of the bride’s family. Who could not afford the high demands because of the high competition in the wedding SERPs. Looking sad, the groom WordPress stood in front of the altar and cried bitter session ID tears. Nobody could comfort him, no matter how much the team of Wedding locations Berlin tried. The by then arrived bride winked at the groom at least, but was then dragged away from the competition that pointed at the session IDs. Shaking their heads, the bots left the scene and let other candidates show up in the SERPs. After long pondering the team had an idea: they need a specialist – a nerd in this subject. And luckily they quickly found the seo-nerd who has saved many website liaisons with the Google family in his SEO agency Berlin. Fast as lightning, he jumped into his rescue car and rushed to the wedding location, so that the marriage could take place. Hardly, arrived there the nerd started his work: with his SEO handkerchief he let the session IDs dry off first and fastened the tux of the source code a lot slimmer, so that the loading times would be optimised. Redoing the meta-tags a bit and shaping the keywords, and voila the groom became a presentable web appearance that couldn’t be degraded by the bride’s family anymore. The opposite: startled, the bots of the new wedding location looked around and had to admit that WordPress had really dressed up for the occasion. And that’s how in the end the Google daughter opted for the groom and together they vowed to the first rank in the SERPs.